Fans of DC Comics can enjoy one of their favorite characters in a new way in The CWs The Flash TV show! 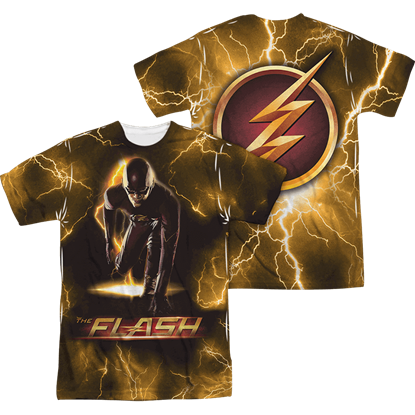 The Front and Back The Flash Bolt T-Shirt features a fantastic rendering of the Flash in a running pose on the front. After being struck by lightning, crime scene investigator Barry Allen discovers that he has gained the superspeed and takes on the role of The Flash. 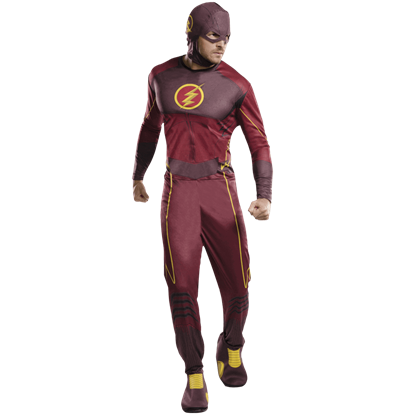 The Mens Deluxe Flash Costume transforms you into this DC superhero. 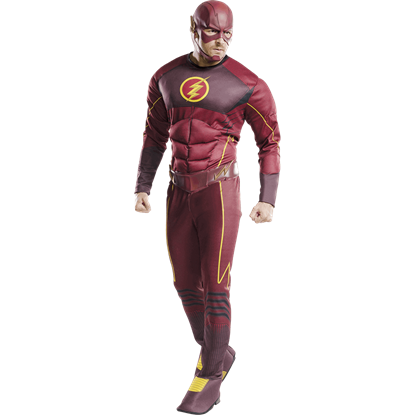 Freshly brought to life on The CW, The Flash tells the story of forensic crime investigator Barry Allen, who gains superspeed after a freak accident at a lab. The Flash S.T.A.R. 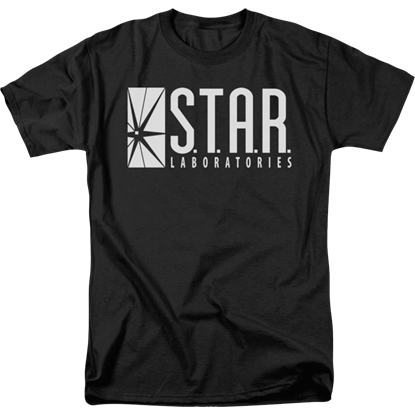 Laboratories T-Shirt displays the logo of the lab.